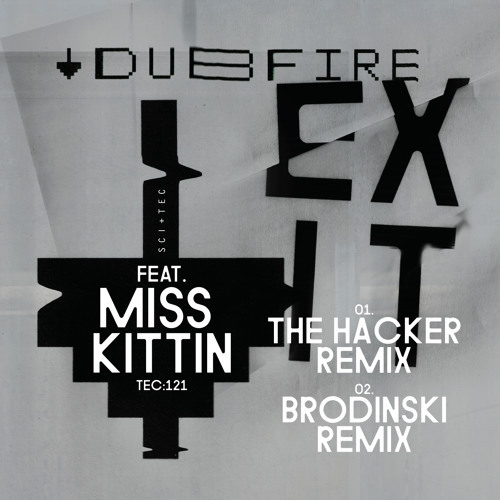 Beatport: bit.ly/ExitRemixed_bp iTunes: http://bit.ly/ExitRemixes_iT Vinyl: http://bit.ly/ExitRemixes_Vnl Back at the beginning of the summer, Dubfire unveiled "Exit," his magical collaboration with Miss Kittin. The powerful and sultry vocal cut immediately garnered anthem status, heralding a perfect balance between the techno stalwarts' precise, funky rhythms and Kittin's unique, robotic vocal delivery. Support was across the full breadth of the DJ spectrum, also featuring in Resident Advisor's Monthly Top 50 charts. A special synergy and chemistry was born between the two that demanded to be further explored when new remixes by the French dream team of Brodinski and long-time Kittin collaborator The Hacker materialized. The Hacker ensures carnage with his huge pile-driving synth riff, whilst Bromance boss Brodinski goes straight for the jugular with a crushing kick drum and impressive vocal trickery. This beat gets me scared. damn. Encore un truc de drogué... mooooooooore!